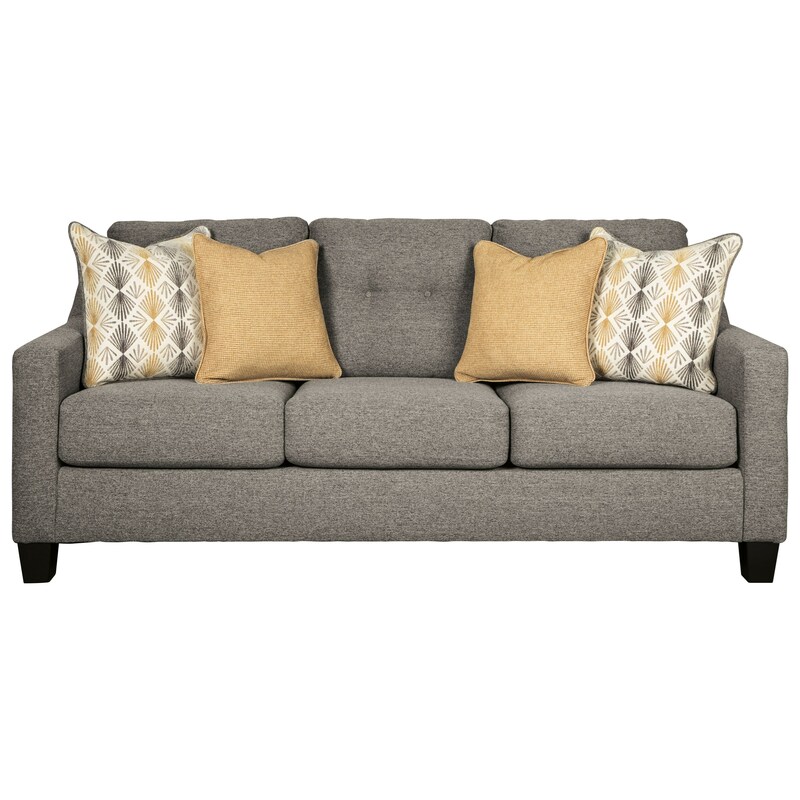 With its simple silhouette and sleek lines, this contemporary sofa will look great in any modern home. Tufted back cushions add an additional design appeal, and the included throw pillows offer a pop of color against the beautiful gray fabric. The Daylon Contemporary Sofa with Tufted Back by Benchcraft at Sam Levitz Furniture in the Tucson, Oro Valley, Marana, Vail, and Green Valley, AZ area. Product availability may vary. Contact us for the most current availability on this product. With features such as clean track arms and button tufted backs, this upholstery collection will make an impressive statement in any modern living room space. The Daylon collection is a great option if you are looking for Contemporary furniture in the Tucson, Oro Valley, Marana, Vail, and Green Valley, AZ area. Browse other items in the Daylon collection from Sam Levitz Furniture in the Tucson, Oro Valley, Marana, Vail, and Green Valley, AZ area.